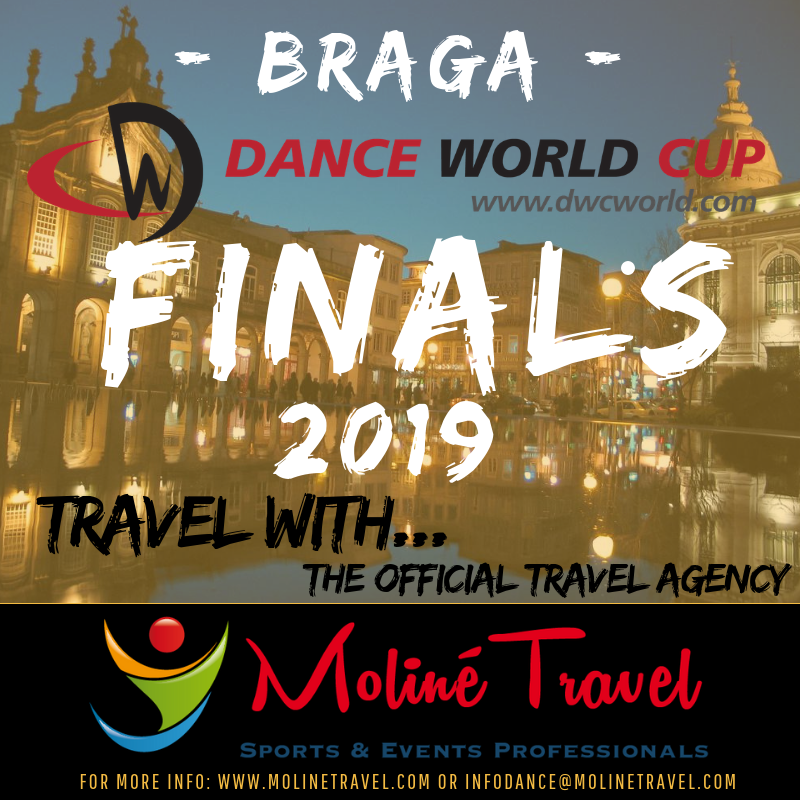 DWC Limited are delighted to announce that Moliné Travel are the official and recommended travel agency for the 2019 World Finals in Braga, Portugal. Read more here about our partnerships with Moline Travel. Moliné Travel will have access to the hotels in Braga in advance and can assist you with flights, hotel bookings and if you wish to stay in Braga or Portugal longer, extended stays. We believe this will assist dance school administrators in booking flights and hotels and will help your school in making decisions on accommodation. Charter flights may also be available depending on numbers. Antoni and his team look forward to speaking with you and assisting you in your accommodation and travel requirements for the 2019 World Finals in Braga, Portugal or any other Dance World Cup travel requirements. PLEASE NOTE that DWC Limited (Dance World Cup) are not connected with Moliné Travel and all queries or disputes must be sent directly to Moliné Travel for processing as we take no responsibility for any bookings made with Moliné Travel who are fully insured.